Well, it only took me one month to get behind on my “Best of” series. That bodes well for the rest of the year. January was a pretty disappointing month in terms of music and film. It wasn’t without its merits, but most of the best content I absorbed was directly related to last year. Television was a different story, as there were lots of great things happening (and so, the “Golden Age of Television” continues.) February was a step up in music and film. Television remained strong. Here’s what was worth watching and listening to in February. Like I said last month, it’s extremely hard to find really great music early in the year. Usually it takes about three or four months for the notworthy releases to start flowing. So there weren’t a ton of jaw-dropping albums in February, but there was at least one more than January. Annie Clark, also known as St. Vincent, released her self-titled, fourth album late in the month, and it is a stunner. 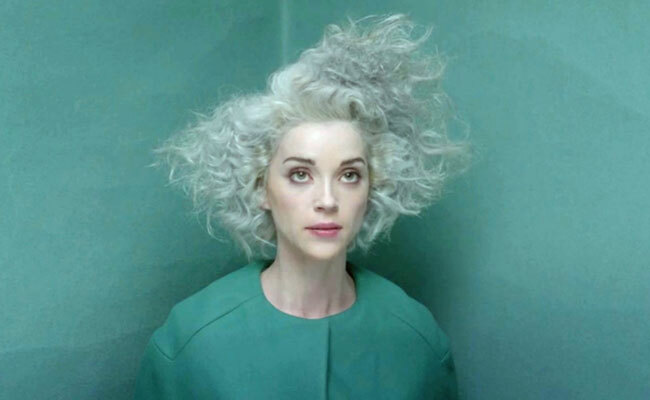 Methodical and unyielding, St. Vincent is a raw work of art, but it’s a ton of fun as well. Clark is known for her innovative and unique guitar work, but there’s an almost otherworldly element to her music this time around. There’s a lot of soul to be found hidden behind a rough exterior. Even the album cover is intimidating and awesome. It’s a bit harsh in places, but St. Vincent is a confirmation that Clark has mastered her own form of indie-rock. And she isn’t going to compromise for anyone. Film didn’t take a massive step up in February. 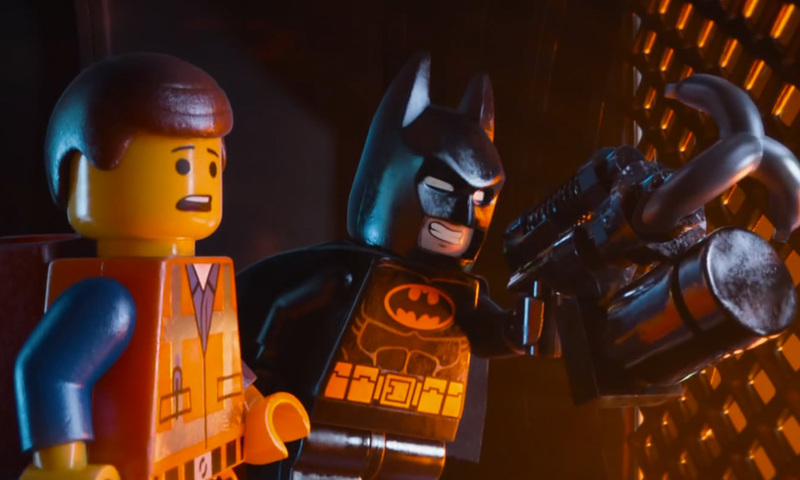 It had more box office bombs than January, but it also had what might be the best movie of the year so far: The Lego Movie. The Lego Movie was a master work of art in terms of animation. Just imagine making an entire (well, almost) film out of Legos. The sheer thought of that intimidates me. But not only was it a feat in craft, it was an example of an animated film done correctly. It was high octane and had enough energy to entertain the youngest viewers. But it was also devilishly clever and sharp. There were plenty of jokes for older audiences, especially those getting a nostalgic vibe from the colorful toy bricks. Not to mention, the voice work was incredibly done and well casted all around. If you want to play a game with yourself, see if you can pick out all of the hidden guest stars. There’s a lot, so always be listening. But more importantly, go see The Lego Movie, especially if you’ve got younger ones in tow. I’m going to go ahead and give True Detective the honorary “must-see” distinction. I haven’t seen any of it yet, but from what I’ve heard, it’s the next Breaking Bad in terms of quality and audience addiction. I’ll make my way there eventually, but there are a lot of other great things happening on television right now. First off, I want to express how truly sad I am that my favorite television comedy, Psych, is calling it quits after eight seasons. I understand that the show was facing an uphill battle in terms of ratings. Most shows start to fade around this time, and Psych is no exception. But the numbers are still somewhat strong. Therefore, creator Steve Franks and the crew have decided to go out on top. It’s a noble choice, one that is probably going to be good for the show’s legacy as one of the more popular comedies of its time. The eighth season has been as strong as ever, and I’m dying to see how it eventually turns out. There may be a few tears shed. 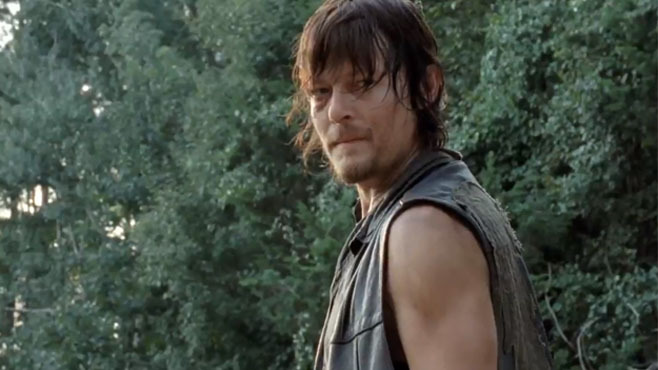 The other show I want to point out is The Walking Dead. Friends of mine know how exceedingly negative I was toward the decisions made by the writing team at the end of the show’s third season. And the first half of season four was just as dull and slow. However, the latter half of season four has been refreshing. No longer are the survivors rotting away in a lifeless prison block. Now they’re actually out and about, developing themselves as characters and moving the story forward. The prison story was nice at first, but eventually I got tired of seeing them go through the same problems over and over again. And don’t even get me started on The Governor. All I can say is good riddance. The separated format is more exciting. And, more importantly, it allows the characters to become interesting and relatable again. We don’t know what it would be like to live in a prison surrounded by zombies. But we can all relate to regret, suffering and hopeful perseverance. I’m glad to see that television’s most popular show has its feet under it once again. That’s all I’ve got for February, folks. Sorry it was late. See you in a few weeks.